Catalan Separatists Keep up Fight Against Spanish Government - Integration Through Media ....! 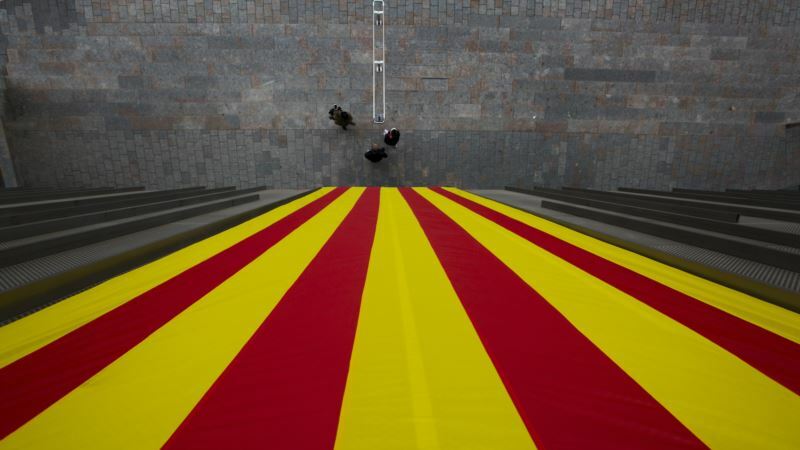 (VOA): Separatist parties in Catalonia's regional parliament are continuing to defy the Spanish government, insisting that fugitive Catalan ex-president Carles Puigdemont is their legitimate leader despite a ruling by Spain's Constitutional Court that he can't take office. The three parties also used their majority to approve a motion Thursday recognizing a regional independence referendum last October as legally valid, even though the Constitutional Court had ruled it couldn't go ahead. Though largely symbolic, the developments kept alive Spain's worst political crisis in decades, with the tension between Madrid and the Catalan capital Barcelona showing no sign of easing up. The confrontation in recent months has led to charges of rebellion, sedition and embezzlement against some separatist leaders and prompted the national government to impose direct rule over Catalonia from Madrid.